Preheat oven to 160°C (325°F). Place the butter and sugar in an electric mixer and beat for 8–10 minutes, scraping down the sides of the bowl, until pale and creamy. Add the golden syrup, flour, ginger and bicarbonate of soda and beat until the mixture just comes together to form a smooth dough. Roll the dough out between 2 sheets of non-stick baking paper to 4mm thick and refrigerate for 30 minutes. 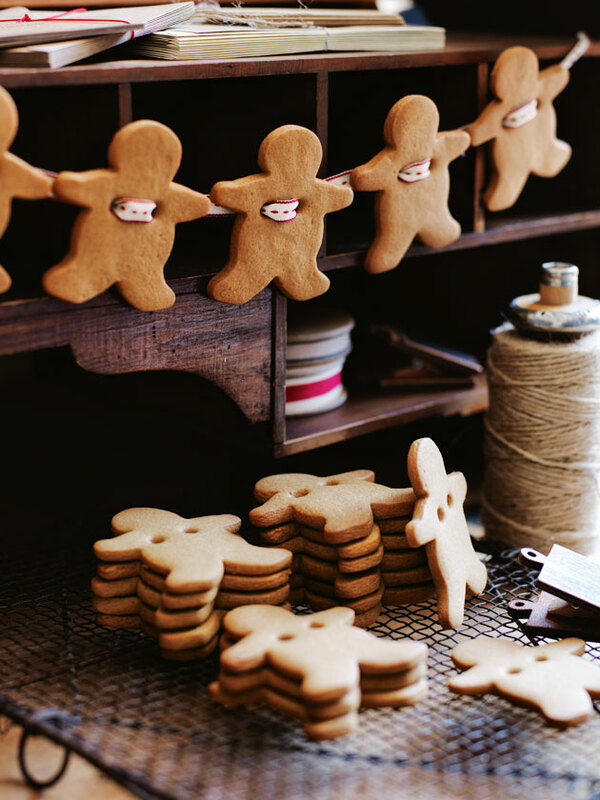 + Store the gingerbread men in an airtight container for 2–3 days and hang them on Christmas eve.